Travelling abroad is often a very exciting time. Most people return from their holidays feeling refreshed and energized which is the purpose of a holiday. Unfortunately for some, not everyone has such a pleasant experience. An accident abroad can not only jeopardize your experience, but also leave you feeling very overwhelmed. Depending on the type of accident will depend on who may be liable. For example, if you hurt yourself on an excursion which you booked through your travel agent, then your travel agent may face liability. People working abroad may also have accidents. In this case, your employer may be liable (for more information please see Accident at Work). 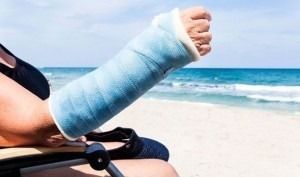 When you receive an injury abroad, you may not have the same comforts of calling your GP, or perhaps speaking to someone who can explain your medical situation to you in your own language. At Bloomsbury Law, we understand that this is not be how you intended your holiday or work abroad to end. This is why we will investigate your injury fully and address your situation on a bespoke level. We will listen to your claim and answer any questions you may have and also advise you accordingly. Every Injury Abroad is different, and we can assure you that we will do our best to ensure you the highest compensation possible for your case. Contact us online or speak to one of our dedicated personal injury solicitors on 0207 998 7777 for a free initial consultation. With our vast experience in the field, our team will work with you to ensure this process runs as smooth as possible. All information you provide us with is treated with the utmost confidentiality.